What a rip off! Dealers charge hundreds of dollars for extra and replacement keyless entry fobs when the units cost only a fraction of that. 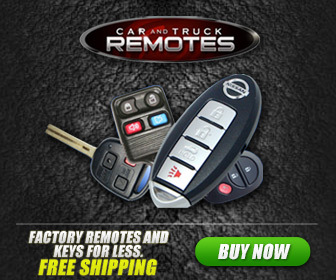 Car and Truck Remotes is an online shop that sells the fobs directly to the public and includes videos showing how you can program the units. Many vehicles allow you to program the fobs simply by engaging in a combination of movements with your car's keys. This is good information to have on hand. If you lose a key fob, you will want to reprogram the other fobs so that the person who found the key won't be able to identify your car with the lost fob. The site recorded videos showing how to reprogram the fob on popular vehicle models. Quite frankly, it is probably a good idea to change the programming on your fobs periodically.